Bunka no Hi at the JCCCW in 2017. Photo by Jason Go. An exhibit on Seattle’s old Nihonmachi during Bunka no Hi 2017. Photo by Jason Go. Koto demonstrations during Bunka no Hi 2017. Photo by Jason Go. Karate demonstrations during Bunka no Hi 2017. Photo by Jason Go. Tea ceremony demonstration during Bunka no Hi 2017. Photo by Jason Go. Scroll below for full schedule. Bunka no Hi is a celebration of Japanese and Japanese American culture and heritage. 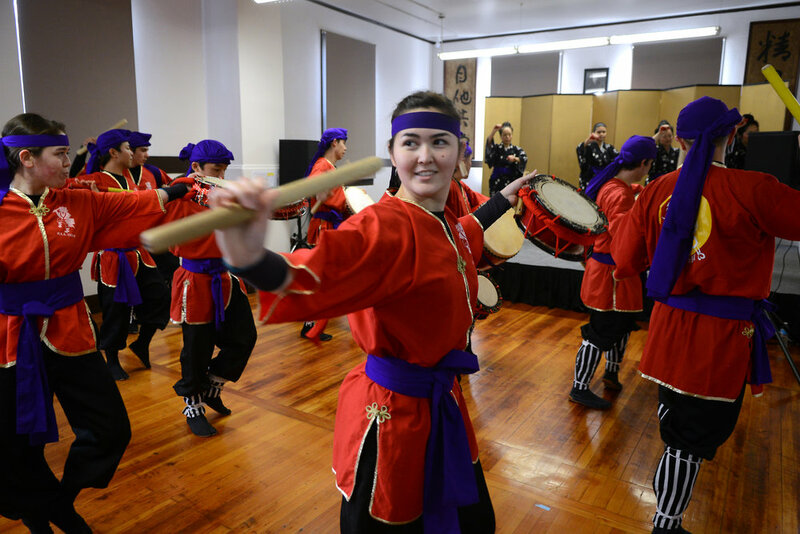 A popular annual event hosted by the JCCCW, the schedule is filled with performances, cultural demonstrations, games, and other activities. It is a true community-wide event, with booths and informational displays from a variety of local groups, nonprofit organizations and a couple of vendors. No matter where your interests lie, Bunka no Hi will have something for everyone! This is a free event! This year the 'J' is proud to present two exhibits during Bunka no Hi. “Travel to Japan" will offer useful travel tips for those hoping to explore the Land of the Rising Sun, especially with the 2020 Olympics in Tokyo right around the corner. An additional exhibit will focus on "Nisei Daughter," an autobiography by Monica Sone, a Seattle-born Japanese American. Northwest Nikkei Museum Permanent exhibits: Unsettled/Resettled: Seattle's Hunt Hostel, Genji Mihara: An Issei Pioneer All day 終日 No なし Unsettled /Resettled: Seattle's Hunt Hotel Resettling of the Japanese community in Seattle after their return from incarceration camps. 戦後、強制収容所から解放された日系人がシアトルに戻り、どのように生活を再開したかについての歴史的展示. An Issei Pioneer, JCCCW’s feature exhibit on the life of Issei (first-generation Japanese immigrant) leader Genji Mihara. 日系社会のリーダーとして活躍した一世、三原源治氏の生涯を紹介する展示.